Dr. Saeed Ahmed studied to attain his degree at Boston University and as a Doctor of Medicine in Dentistry in 2002. Shortly afterwards, Dr. Ahmed settled down to practice in Nashua, New Hampshire. For the past 13 years, Dr. Ahmed and his team of professional hygienists and assistants have focused on serving their community with pain-free treatment, personalized and engaged health advice, and passion for healthy smiles. Dedicated to continuously expanding his knowledge in cosmetic and restorative dentistry, Dr. Ahmed takes Continuing Medical Education (CME) courses every year to stay on the leading edge of dental practice. Most recently, Dr. Ahmed has implemented the new ultra thin porcelain veneers, for cosmetic procedures. 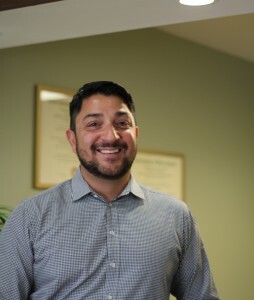 As a member of the American Dental Association, the New Hampshire Dental Society, and the Massachusetts Dental Association, Dr. Ahmed is known among his patients to go the extra mile to give his patience a wealth of options and advice with a friendly attitude. His patients often describe him as personable, patient, and immensely knowledgeable. “Outstanding patient care! 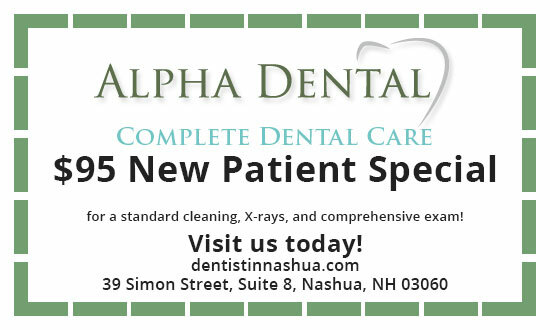 […] Doctor Ahmed explained all of the procedures clearly and completely and performed all work in a caring and compassionate manner.” — Rick Eldridge, a patient at Alpha Dental. Dr. Ahmed lives in the New England area with his wife and two daughters. A caring father, Dr. Ahmed regularly volunteers at his daughters’ school. He also enjoys traveling around the world with his family to gather new experiences in diverse cultures, and has enjoyed journeys to destinations such as England, Pakistan, South America, Europe and South Africa. Among his travels, his favorite place to kick back and relax is Cape Town, in South Africa.